Morning Round-Up: Ronan Farrow vs. NBC; Organist trolls Daniel Murphy; Lady Gaga & more! Tuesday Morning Man: Danny Amendola! 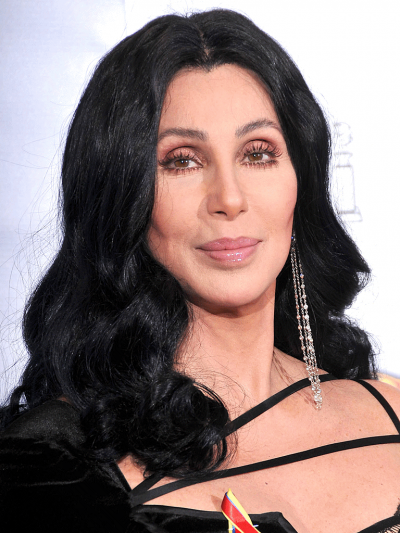 In her nearly 55 years of superstardom, Cher has had periods where she goes away for awhile. This is not one of them – thankfully! The Oscar, Grammy and Emmy winning icon is currently on the big screen in Mamma Mia: Here We Go Again, has a new album out later this month of ABBA covers, is having a Broadway show about her life opening later this fall, and in December will receive the prestigious Kennedy Center Honor. On her album of ABBA covers: It was a great time to do it. I’m a news junkie, and these are rough times. But when I was recording, I got swept up in the fun of it. The songs are silly and crazy, and for the album, I chose the ones that are saddest and the most fun. On the Broadway musical based on her life opening this fall: You have to know something more about me after the musical. That’s important to me. Listen, I didn’t have a play about myself before, and I was living very happily. So, I want it to be true and fun and like life is: Sometimes you’re great, and sometimes you’re pathetic. Sometimes you’re tired, and sometimes you break down. It should be like that. And nothing should be glossed over. Cher’s favorite album: It’s probably between “Believe” and a highly underrated album called “Closer to the Truth.” There’s not a bad cut on either one of them. I’ve made millions of albums, and most of them are absolutely no good. But some of them aren’t bad. On being snubbed by Rock and Roll Hall of Fame: It used to annoy me. But I know it’s just a boys’ club, and they don’t think I’m cool enough. But that’s O.K. My life is humming along without it. It’s humming along even without the Kennedy Center Honor. I was just terrified that Trump would be there. On Trump and his supporters: Trump voters don’t like me anyway. And I don’t blame them. I say terrible, true things about him. I hate him because he’s using his job to make money. But mostly, I hate him because he’s tearing this country down, and it’s going to take generations to put it back together, if we even can. I’ve gotten death threats from his supporters — with pictures of me in the gas chambers. People writing, “The wrong Bono went skiing that day.” [Sonny Bono died in a skiing accident.] But I can’t hold back. It’s about character. My mom would beat me to death if I lied. I’m not starting now.